We expect the same reliability from our equipment as we do our drivers, and managing equipment is a priority. Our decisions affect safety, retention, compensation, and fuel economy. It doesn’t pay to cut corners with equipment, and we won’t. The Midwest Express 100-truck fleet consists of Freightliner, Volvo, and Kenworth trucks with high rise sleepers. 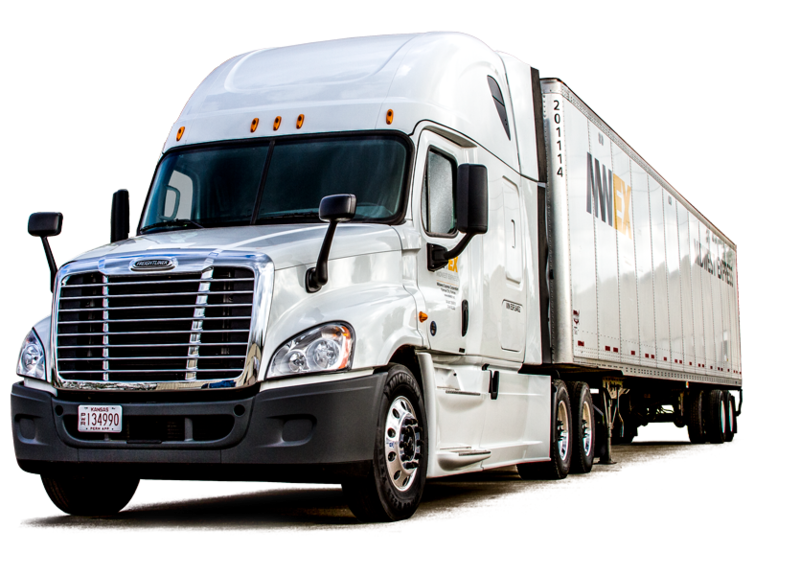 Designed to maximize safety and fuel efficiency, our newest trucks are equipped with auxiliary power units (APUs) and Espar heaters and refrigerators. Our 53' dry vans are manufactured by Wabash, Strick, Hyundai, and Utility. More than half of the vans in the nearly 200-trailer fleet have an inside dimension of more than 100.5", which enables us to accept freight from shippers who want to maximize cube with their lightweight product. Our electric on-board recorder (EOBR), Rand McNally TND750, offers excellent navigational technology and a driver-friendly interface. We primarily use this system for logs and fuel tax. With improvements in our driver interface, our brake maintenance issues are down 10%, light maintenance issues down 25%, and tire maintenance issues down 50%. Fleets focus on owning the best aerodynamic equipment, but drivers ultimately hold the key to profitability and growth, based on efficiency. Better fuel economy = better business.